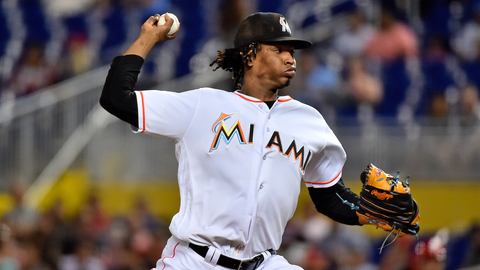 DENVER (AP) — Right-hander Jose Urena has been placed on the 10-day disabled list with right shoulder impingement, the latest setback in a disappointing season for the Miami Marlins‘ opening day starter. Urena is 2-9 with a 4.40 ERA. He had a shutout through five innings in his most recent start Wednesday at San Francisco and then gave up five runs in the sixth and took the loss. He complained afterward that he felt something wrong with his arm. The Marlins began a weekend series Friday in Denver, and the roster move was retroactive to Thursday. Miami also reinstated right-handed reliever Nick Wittgren from 10-day DL.